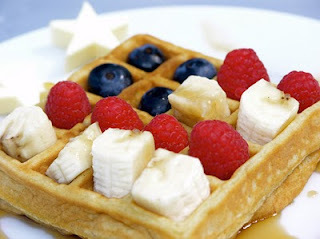 Last year I saw this fun idea for Flag Waffles and it immediately became our new favorite 4th of July breakfast. They were so yummy! 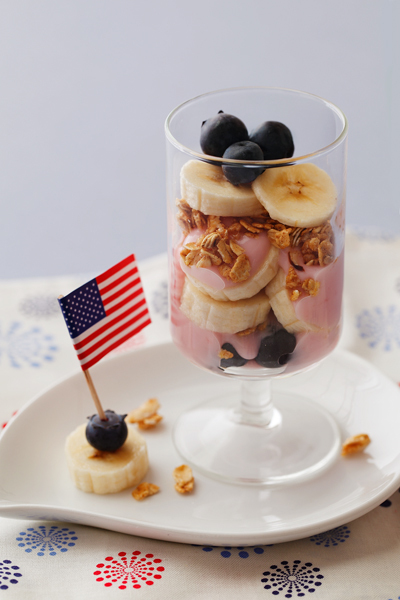 I will say the cute banana and blueberry flag holder might make in onto a couple plates this 4th of July, even without the parfait. 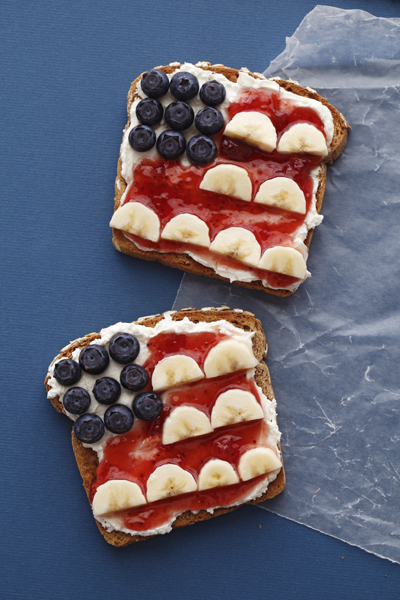 And I might switch out peanut butter as the base on the toast and make it lunch for the kids. You can check out more of Emily Henson's beautiful images HERE. So pretty!! And looks delish! Switching out to peanut butter would remove an animal product as well - making them perfect for us. Thanks for the great idea! I'm definitely doing this for breakfast all weekend! Leah, I hope your family enjoys them!! Kristi, thanks for the Pinterest love! Love your ideas; am pinning!